Just imagine waking up one morning to the news that a new island had suddenly appeared in the middle of the Mediterranean. Not one of those barren volcanic outcrops that occasionally surface off the coast of Iceland, but a fully-functioning community, with a history and culture all its own. Ancient ruins from another era, a thriving industry producing potent alcoholic drinks, and even an exotic nightclub with the most over-the top song and dance show in the world. You would want to take the first opportunity to visit the place, and there would be plenty of travel operators keen to organise it for you. Especially cruise lines, desperate to find somewhere new in a crowded region where there are not enough ports to cater for the needs of thirsty culture-hungry tourists with fat wallets. Never mind the overcrowded, dusty Acropolis in Athens, or the bustling thoroughfare of La Rambla in Barcelona, be among the first to find out what Nova Isola has to offer, on 14-night sailings from Southampton or a 7-night jaunt from Genoa. It’s never going to happen, of course. It’s just a dream. But something very much like it could quite possibly take place in the Caribbean. And soon. When American restrictions on travel to Cuba are lifted, a whole new island will become available to the cruise line itinerary planners. For more than 50 years, Cuba has been off limits to American cruise lines forbidden from doing business with the Communist country. 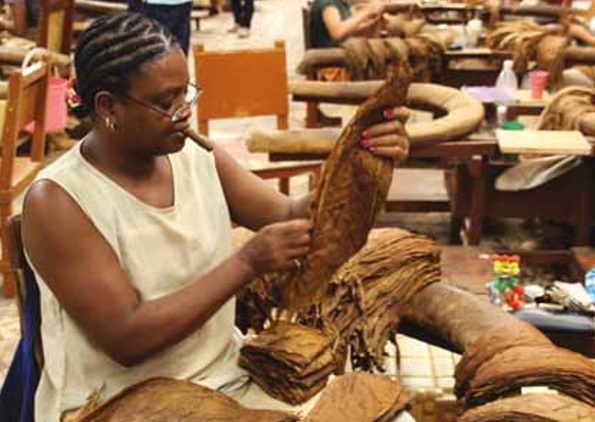 A trade embargo was imposed in 1961 by President Eisenhower. In 1962 it prompted the Cuban Missile Crisis that almost brought the world to the edge of a nuclear war. The embargo was continued by successive US presidents, and the Castro regime – first under Fidel and now his brother Raul – has become isolated from the world, even losing the support of their Russian paymasters. 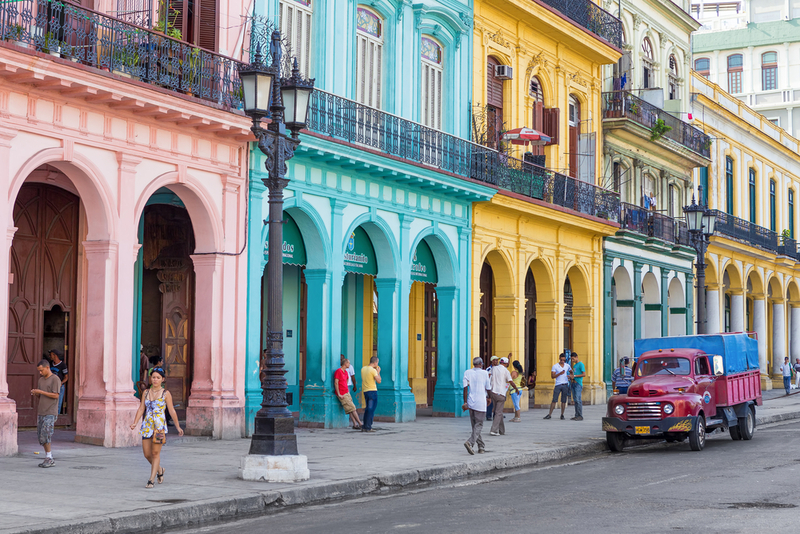 American tourists used to flock to Cuba’s capital, Havana, and it was a popular haunt of leading Mafia members. Ernest Hemingway made his home there at the peak of his writing powers. The embargo made it impossible for all but the most determined US travellers to visit; no American cruise operator is allowed to do business there although a few companies operating from the UK and Canada – Saga, Thomson, Fred. 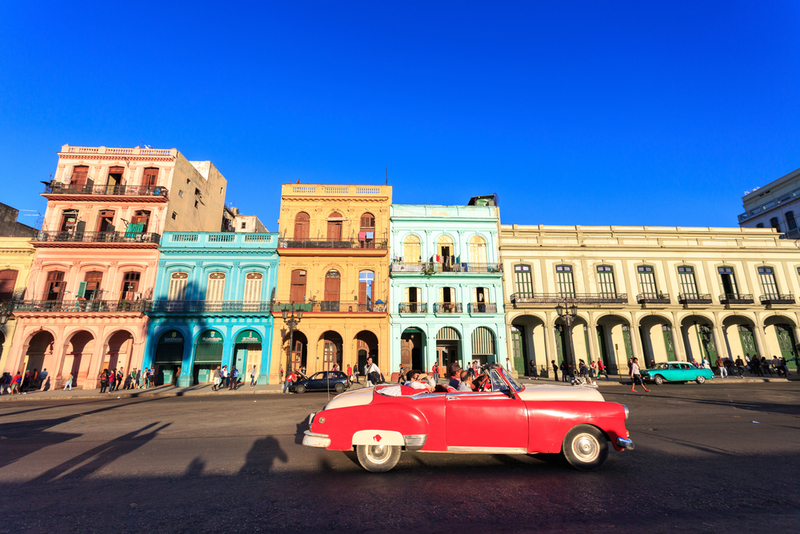 Olsen, and Cuba Cruise among them – deliver passengers to a land still untainted by Coca Cola and McDonald’s. The situation is changing. Those big corporations are waiting eagerly while President Obama – in a last-ditch bid to create something positive by which his presidency can be remembered – opens negotiations with Cuba. Diplomatic relations have been re-established and the wheelerdealers in the White House are working out how to convince Congress to lift the trade embargo. As soon as that happens, Carnival, Royal Caribbean, Celebrity, Princessand all the others will be free to take their ships not only into Havana, but to the smaller ports of Cienfuegos and Santiago de Cuba – cities I found fascinating when I visited on a Saga cruise four years ago. Despite their hardships – food is scarce and rationed, families have to eke out soap and toothpaste, for example – the people were warm and welcoming. I toured the Havana Club rum museum, visited a cigar factory where fat Cohibas were rolled not by luscious young girls but by their chain-smoking mothers. I drank mojitos on the terrace at the Hotel Nacional – which once welcomed stars such as Errol Flynn, John Wayne, Marlene Dietrich and Marlon Brando, and where in 1946 Mafia mobsters gathered for a summit which was recreated in The Godfather Part II. To top it all, I spent an evening at the Tropicana Club – a place so wild it would have stretched George Michael’s imagination to breaking point. Dozens of dancers in the skimpiest of costumes (men and women alike) and some with lavish headgear fabricated from fruits and feathers, danced and sang the night away, sometimes appearing from the treetops and other times acting out utterly strange tableaux of love, lust and tragedy. Americans may have to wait a while longer yet for their chance. Even after agreements have been reached it will take time to dredge ports and provide the air-conditioned cruise terminals and luxury tour buses they expect. If you want to get there before they arrive, now is the time to do it.